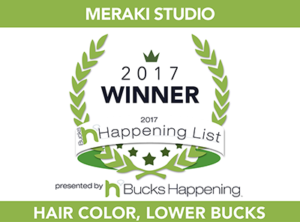 At Meraki Studio in Richboro, we invite you to enjoy a unique salon experience, where comfort and artistry combine. “Meraki” is the passion, love, creativity and essence put forth into everything we do. It is the foundation that Meraki Studio was built upon and the heart and soul of our vision. As you enter our doors, you can feel the element of “Meraki” through hand-crafted furnishings and personal touches. We welcome you to let go of your daily stresses as you take a seat in one of our specialty massaging shampoo chairs. Treat yourself to a luxury beauty service provided in our private loft rooms. We proudly offer high quality product lines including Unite Eurotherapy, L’Oreal Professionnel, Bioelements, and Motives Cosmetics. 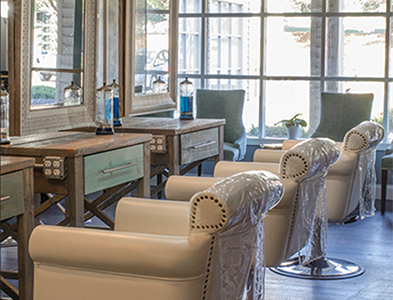 Whether you are seeking a routine root touch-up or one of the latest color, style or beauty trends, we are here to tend to all of your salon needs with the detail and personalization you deserve.